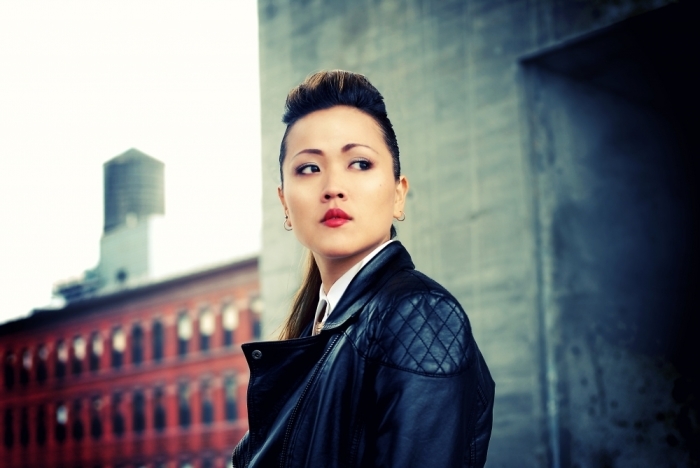 Rapper HeeSun Lee released her album "Stereotypes" on the recently launched In My City Records label earlier this year and is buzzing in the hip-hop community. The female MC already has an impressive resume that boasts songs with infamous battle rapper Jin and respect from well-known peers such as Andy Mineo. She's currently working on some new music and recently took the time out to speak with The Christian Post where she shared her views on the "Christian rapper" label and female rappers as role models. Christian Post: How long have you been involved in hip-hop, and how long has your faith been a part of your music? HeeSun Lee: That's a funny question because [an old collaborator] sent me the first song I ever recorded [recently]. That was actually in 2002. It's been about 12 years. I always wrote poetry and loved writing. I guess you could label it Christian, [but it was more] about everything I was going through. [Eventually I started talking about God more. But my faith was a part of my music from] the beginning. CP: How did your collaboration with MC Jin come about? HL: I did a song called "I'm a Christian" that had various artists on it and the producer on there is a good friend of mine. I don't know how Jin heard the song, but he actually [ended up] loving it. This is when he first became a Christian and he didn't really hear [too much] Christian hip-hop. He contacted the producer of the song and gave him props. He even shouted me out. I was in total shock. The producer told me about that and I was like wow, maybe I should try and get him on a song. The producer gave me Jin's email so I emailed him. He actually did write back to me and told me he was more than willing to do a song. Everything that I thought he could have been, he wasn't. He was so humble! We actually did a song that I didn't use and we recorded "I Break Stereotypes" a few years later. He's probably one of the nicest guys I've ever met in my life. I was so supportive of him [when he was huge on the battle rap scene] and to know that we're friends now doing songs together is crazy! CP: How did you get signed to the new In My City Records label? HL: I've been working with this independent label called JahRockn productions since 2006. And what happened was the whole God Belongs in My City movement were in talks about wanting to start a label in New York. They contacted JahRockn's Chris Belmont about it and they wanted him to be a part of it. The [In My City people] knew I was connected with Chris so they contacted him and said they wanted to sign me. CP: How has the reception for your "Stereotypes" album been so far? HL: Well beyond my expectations. The day it dropped we didn't know what to expect of it. It has been 4 or 5 years since I put out an album. I didn't know if my fans were still around. It actually went a lot better than I thought it would. Everyone has said nothing but good things. You [always] get a few sour people in the bunch [who speak negatively]. Sometimes those comments help you grow and can make you into a better artist. CP: Do you embrace the "Christian rapper" label? HL: I don't like being called a Christian rapper because it limits [an artist]. People won't listen to what you have to say or they think you are corny. Thoughts people have towards Christian hip-hop will go with you if you [embrace] that label. It's also a good thing because you're trying to represent God and let people know that this is what you're about. [Artists] go back and forth and say I'm not a Christian rapper, I'm a rapper that raps about God. I just want to [call myself] a rapper and if you listen to my music then you'll hear what I have to say. CP: Do you see your music more as a ministry or a career? HL: Both. It is a ministry in that obviously when it's for God you're trying to reach souls and save lives ... it's a career also. The business aspect of it, you have to provide for your family. When you're rapping and you're not a huge superstar [most people] won't think it's a career. I think now that I'm actually going places and starting to get a buzz [friends and family] are realizing that this is a career for me. I don't have another job anymore. But you don't want to just make it a career where it's about money and you don't care about [touching] people. CP: How do you balance your faith and your feelings when writing songs? HL: I'm not really the preachy type. Even the "Stereotypes" album, a lot of the songs on there, [non-Christians] can relate to them. There are a lot of songs on there where I'm real honest about what I'm going through. And sometimes you don't want to be Christian, you just want to throw [your beliefs] out the window. There are limitations. Sometimes when I see female rappers like Nicki Minaj and what they are talking about, what they're wearing, or when they are calling themselves role models, I just want to get on the mic sometimes and just curse them out - just [to] put them in their place. Let them know what they are doing is [foolish]. But putting a message out in that way [won't] do anything. At the same time, I am Christian and I can't be doing that. Sometimes it's just the human in me [that makes me feel that way]. I try and get my worst feelings and try and say them in the nicest way possible. There are songs on my album like "Plastic" and "Role Models" where I'm mimicking the female rappers out there, but I'm not doing it in a way where it's cursing them out. I'm letting people know that they are not role models, but in a nice way. HeeSun Lee's "Stereotypes' album is now available through Amazon and iTunes.